At the initial consultation you can bring along any ideas you have for your dress, so that we can discuss them and chat about your theme for your wedding. 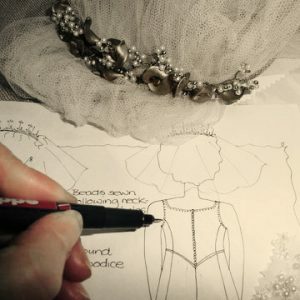 Don’t worry if you do not have any ideas at this stage, as the studio is full of inspiration from sample dresses, sketches, pictures of previous designed dresses, samples of fabrics, decorative trimmings and beads to bridal magazines. At this stage your ideas are transformed into sketches for you to look at and pick out your unique wedding dress. Once the design, choice of fabrics and decorative details are chosen a costing is made. A deposit would now be required to cover costs of fabrics and your measurements will be taken. 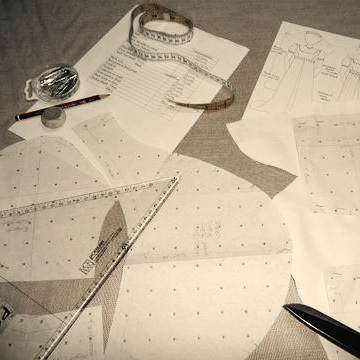 A paper pattern is made from these measurements and a toile is made for you to try on. A toile is mock up of your dress made in a cotton fabric to perfect design and fit. This process is then followed by two or three fittings. 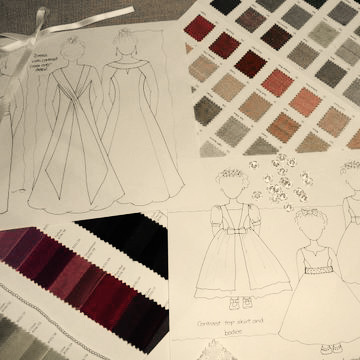 When these are completed the dress is cut out of chosen fabric and decorative details. Then you finally see your own unique wedding dress made just for you. 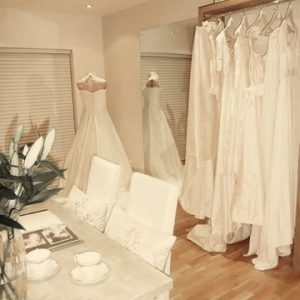 Final payment is due at this fitting and then the dress is yours for you to take away ready for the big day. 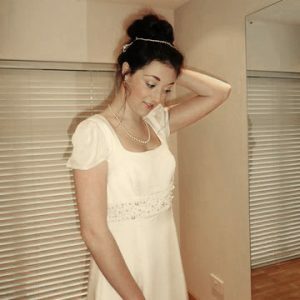 This service is also available for bridesmaids and flowergirl dresses to complete the whole look of your wedding. Mother of the bride, prom dresses and christening gowns are also available in my bespoke service.